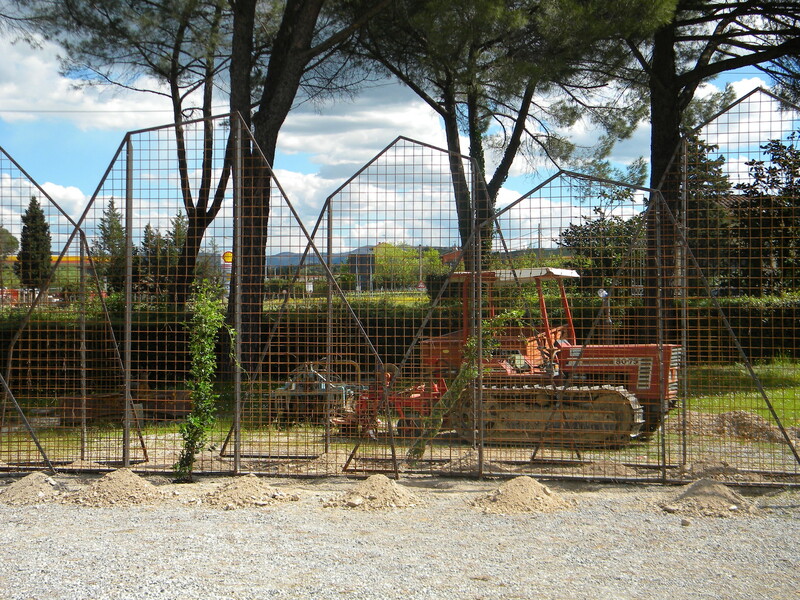 This landscape design realized for an estate and farm near Florence is a work of ‘architecture’ that is complete only with the complicity of the surrounding natural elements: trees, shrubs and bushes purposely planted based on their colors once grown, destined to change with the changing of the seasons, while the shapes and sizes are entrusted to the ‘hidden’ architecture of the trellises against which the plants rest and grow, taking on their contours. Hence, the variegated ‘wall’ thus created, in addition to hiding a space in which to park farming machinery, has its own geometry, which appears improbable as it seems decided by nature, according to natural laws. Nevertheless, in the end the nature-architecture rapport is equal; architecture is given what is due architecture, that is structure and functionality, and nature is granted the final result, which will not necessarily coincide with the intentions of the designer, whose intervention is predominantly ‘an oneiric quotation’.